The Beginnings of a Democrat Revolt? 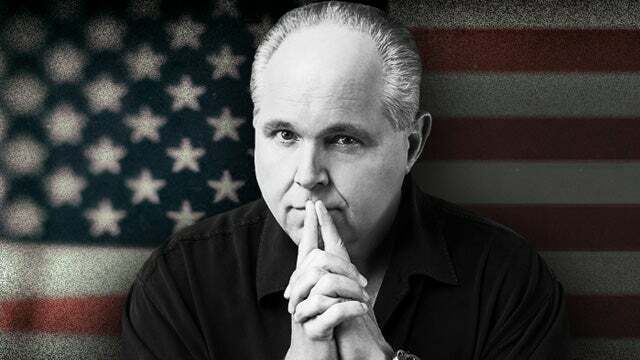 RUSH: I’ll tell you, there’s something else happening out there, I’m detecting this. You may disagree with me. But I think there are the beginnings of a revolt — and I don’t know how big — over the leftist trajectory of a lot of institutions. I think there is now becoming the beginnings of a serious pushback against this idiocy of the Green New Deal and Medicare for all and reparations. 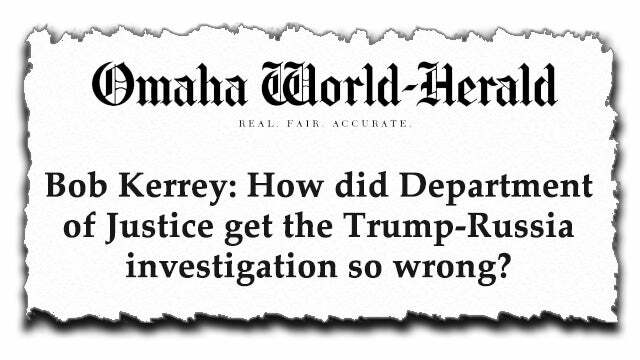 There’s a column, Bob Kerrey, the former governor of Nebraska, who now lives in New York, wrote a column in the Omaha World-Herald calling out his own party for what it is becoming. I will share the details of this column with you in mere moments. And he’s not alone. There are a lot of people that we would call traditional Democrat — well, I don’t know if it’s a lot yet. Like have you seen the stories, the AP has a story out: The Democrat Party needs white working-class voters to win. Oh, really? Well, who threw them away? Who decided the Democrat Party doesn’t need, didn’t need white working-class voters? Can we have three cheers for Barack Hussein O? It was in November of 2011, Thomas B. Edsall wrote a piece New York Times announcing that Democrat strategery going forward was to put together a party that was an amalgamation, a coalition of all and every minority group they could find and muster. And they were gonna make that the cornerstone of the party, and they were gonna get rid of white male voters because of — and so look at what happened. I’m telling you, there’s the beginning of — maybe you can’t call it a revolt yet, but some kind of pushback, because there are people — not us; on their side — that are beginning to realize that they’re in a suicide party. They’re in a suicide dive. What we’re gonna move on to next is the Mueller report, which says there was no collusion and no obstruction, and yet you’ve got Jerry Nadler and Adam Schiff out there claiming that there is collusion and that Barr is Trump’s agent and that Barr is lying and they are demanding to see everything, including grand jury material, which is against the law, active law on the books at this moment as decided by the DC Circuit. Grand jury material may not be made public, may not be released, and they are saying to hell with that. There are existential circumstances here, and they claim that there is evidence of collusion. They’re just lying through their teeth. They can’t let it go. Trump derangement syndrome is what this is. Call it what you want. But I say that it is poison. These people have been poisoned, and they are continuing to poison themselves with Trump hatred. And it is all that they’ve got on their minds. They were so invested on Trump stealing an election that they can’t let go of it. And of course they’ve got willing accomplices in the media who can’t wait to push this stuff, and so every day the people of this country are confronted with ongoing attempts to screw up this country and to corrupt it, and we have to come in here and defend it each and every day. Such a waste of time, and it’s all by design. RUSH: Bob Kerrey is former senator from Nebraska, former governor of Nebraska. He ran The New School in New York. Now he’s still in education in New York. He’s a Democrat like yourself grandfather’s Democrats used to be, and he is appalled at what he’s seeing happen to the Democrat Party. So he wrote a piece about it in the Omaha World-Herald. He starts, “Delusions fascinate me in part because I have so many of my own. Most often delusions are harmless. Sometimes they are not. “At the moment my fellow Democrats are suffering from two that are harmful. The first is that Americans long for a president who will ask us to pay more for the pleasure of increasing the role of the federal government in our lives. That this is a delusion can be seen in the promises made by six successful Democratic candidates in Wisconsin, Pennsylvania and Michigan: three governors and three senators. Not one of them supported the Green New Deal, a tax on wealth or ‘Medicare for all,'” but they still believe that the American people want an ever-bigger government and want to pay for an ever-bigger government to run their lives. 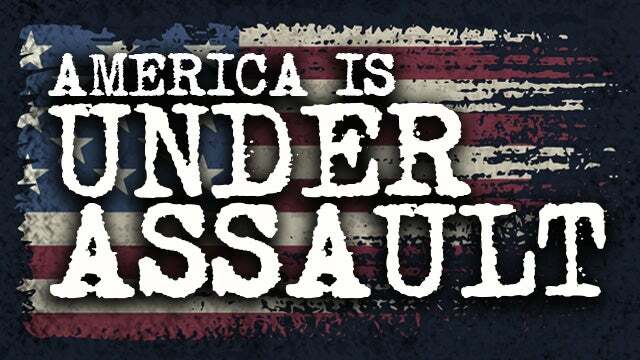 “The second Democratic delusion is that Americans were robbed of the truth when Special Prosecutor Robert Mueller and Attorney General William Barr concluded that President Trump did not collude with Russia in 2016. All evidence indicates that the full report will not change the conclusion that Donald J. Trump did not collude with Vladimir Putin to secure his victory in 2016.” But Bob Kerrey is out here saying: My fellow Democrats are delusional when they think that Barr and Mueller are lying. “Rather than investigating the president further, Congress needs to investigate how the Department of Justice got this one so wrong. If the president of the United States is vulnerable to prosecutorial abuse, then God help all the rest of us. Members of Congress cannot do this themselves. We do not trust them enough with such a vital mission. Congress should create a nonpartisan commission to find out what went wrong and to tell us what needs to be done to make certain it never happens again. “A commission to investigate the FBI needs to focus on four questions,” and he lists the four questions. Do you realize how monumental this is? This guy almost got the Democrat presidential nomination at one point, and he is out openly telling members of his party (paraphrased): You are delusional, you’re sick — and what really needs to be investigated here is how the hell did this happen? How did it end up that the intelligence agencies and the FBI and the Department of Justice can end up as unelected individuals running a two years-and-counting investigation that has no end to it on something that did not happen? Folks, it’s just Bob Kerrey, and he’s a lone voice, but it is the beginning. What it’s evidence of is I guarantee you that there are a lot of other Democrats in his sphere who think the same thing who don’t have the guts to say so, ’cause they don’t want AOC and the rest of these Looney Tunes coming after ’em. Because it was said last week that some of these old Democrats are literally in terror. They’re scared to death of these young whippersnappers for whatever reason. But look, it’s an indication. It’s not evidence yet, but it’s an indication that the Democrats know that this is the wrong road to go down but that they don’t have anybody that can tell Nadler and Schiff and Swalwell and the rest of these sickos — and I do mean that. I keep… He says “delusional.” I think they’re sick. I really believe that. You and I have trouble understanding the depth of the hatred these people have for somebody that they don’t even really know, Donald Trump — and the reasons are many. But it has poisoned them, and the poison has many ingredients, including that they really thought from the get-go that there was collusion. They really did! They really believed that the presidential election could be rigged. Why would somebody think that? They really believed that they could have an election stolen from them by a foreign country. Now, if you think that, you have to think a lot of other things, too, and you have to have had certain things explained to you or happen to you for you to believe that could happen. If you say that you think that happened, but you don’t really believe it, then you’re even sicker. You’re even crazier. And then when the evidence comes in that it didn’t happen, instead of being happy that a foreign power is not in charge of who our president is, they’re mad, they’re upset, and think that we’re all being lied to. So Kerrey is right. They are delusional, but it’s way beyond that. Kerrey, I think, is not gonna be the only voice. But I hope, actually, Kerrey fails. I want these people to become further and further demented.